Trying to stay up to speed with the news is a task and a half, especially if it needs to be done in any free time available. Hence the relative silence yesterday and the double coverage of the Synod of Bishops today. Anglicus A: Moderator: Cardinal Wilfrid Napier, Archbishop of Durban, South Africa. Relator: Archbishop Joseph Kurtz, Archbishop of Louisville, United States. Anglicus B: Moderator: Archbishop Diarmuid Martin, Archbishop of Dublin, Ireland. Relator: Archbishop Bernard Longley, Archbishop of Birmingham, United Kingdom. Anglicus C: Moderator: Cardinal Oswald Gracias, Archbishop of Bombay, India. Relator: Archbishop Philip Tartaglia, Archbishop of Glasgow, United Kingdom. Anglicus D: Moderator: Cardinal George Pell, Archbishop of Sydney, Australia. Relator: Bishop Kieran O’Reilly, Bishop of Killaloe, Ireland. Gallicus A: Moderator: Cardinal Jean-Louis Tauran, President of the Pontifical Council for Interreligious Dialogue. 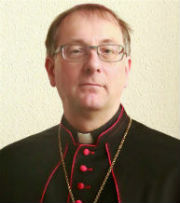 Relator: Bishop Dominique Rey, Bishop of Fréjus-Toulon, France. Gallicus B: Moderator: Archbishop Yves Patenôtre, Archbishop of Sens, France. Relator: Archbishop Claude Dagens, Archbishop of Angoulême, France. 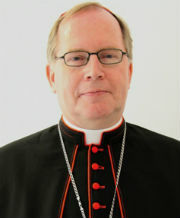 Germanicus: Moderator: Bishop Ägidius Zsifkovics, Bishop of Eisenstadt, Austria. Relator: Bishop Ladislav Nemet, Bishop of Zrenjanin, Serbia. Hispanicus A: Moderator: Archbishop Carlos Aguiar Retes, Archbishop of Tlalnepantla, Mexico. 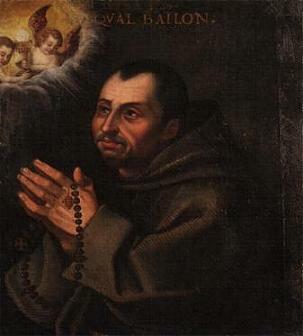 Relator: Archbishop Ricardo Blázquez Pérez, Archbishop of Valladolid, Spain. Hispanicus B: Moderator: Bishop Julio Terán Dutari, Bishop of Ibarra, Ecuador. Relator: Bishop Santiago Silva Retamales, Auxiliary Bishop of Valparaíso, Chile. Italicus A: Moderator: Cardinal Leonardo Sandri, Prefect of the Congregation for the Oriental Churches. Relator: Archbishop Salvatore Fisichella, President of the Pontifical Council for the Promotion of the New Evangelisation. Italicus B: Moderator: Cardinal Angelo Bagnasco, Archbishop of Genoa, Italy. Relator: Archbishop Bruno Forte, Archbishop of Chieti-Vasto, Italy. Italicus C: Cardinal Fernando Filoni, Prefect of the Congregation for the Evangelisation of Peoples. Relator: Father Renato Salvatore, Superior General of the Clerks Regular of the Ministers of the Sick (Camillians). In that contemplation, we allow ourselves to be transformed by God, to be more and more conformed to His Trinitarian identity. This means that we can’t be bound any longer by our own selfish desires. There is more, and I coud just post the entire text here. But that will just make this blog post far too longer, so check the day’s Bulletin for the texts, both of Dr. Williams’ address and the summaries of the other interventions. In what seems to be an attempt to establish local centres of evangelisation in those areas most affected by secularisation, Archbishop Rino Fischella of the Pontifical Council for New Evangelisation has met with the archbishops of some of the most important European archdioceses. Specifically, they came from archdioceses who themselves “have put into play new evangelization initiatives in European countries where the Catholic faith is going through a season of deep crisis”, the Vatican Insider reports. Meeting with Archbishop Fisichella and with one another to exchange ideas, plans and experiences, were Péter Cardinal Erdő (Esztergom-Budapest), Archbishop Diarmuid Martin (Dublin), Joachim Cardinal Meisner (Cologne), José Cardinal Policarpo (Lisbon), Archbishop André-Joseph Léonard (Brussels), Archbishop Patrick Kelly (Liverpool), Christoph Cardinal Schönborn (Vienna), Kazimierz Cardinal Nycz (Warsaw), Archbishop Cesare Nosiglia (Turin), Lluís Cardinal Martínez Sistach (Barcelona) and André Cardinal Vingt-Trois (Paris). A select company with some striking gaps; there are major European dioceses which are not represented. It may be concluded that these have yet to implement plans and projects for new evangelisation, but perhaps this meeting can be a starting point for them. If the Pontifical Council can collect the plans that exist and use them to take further steps, perhaps on a larger European scale, it may be able to learn from the experiences of those ‘on the ground’, so to speak. A good approach, it seems, which does not disregard what developments have already been made. Emotional scenes at Dublin’s Pro-Cathedral of the Immaculate Conception yesterday. Emotional, but also poignant and important, as Dublin’s Archbishop Diarmuid Martin and Boston’s Seán Cardinal O’Malley prostrated themselves before the bare altar before beginning a Liturgy of Lament and Repentance. Cardinal O’Malley is in Ireland as part of his work as one of the Apostolic Visitors appointed by the pope to investigate how the Irish Church can weather the abuse crisis. Such a liturgy was called for in the pope’s letter to the Irish Catholics, to be held as part of the healing and reconciliation that is so needed to deal with the crisis. The liturgy is a public and visible statement of regret and sorrow at what has been in institutions of the Church and by people who belonged to her. As part of the liturgy, the archbishop and the cardinal washed the feet of eight victims of abuse, in a ritual similar to the washing of feet on Good Friday. The liturgy was planned in close cooperation with these victims, although others interrupted three times over the course of the ceremony. The congregation listened to all statements, planned and unplanned, quietly and responded with applause. The liturgy is part of the Apostolic Visitation being made by Cardinal O’Malley and four other prelates of Irish descent – Archbishop Dolan of New York, Archbishop Collins of Toronto, Archbishop Prendergast of Ottawa and Cardinal Murphy-O’Connor, formerly of Westminster. There are moments where silence and listening are more important than words and what we say. The Church of Jesus Christ in this Archdiocese [of] Dublin has been wounded by the sins of abusers and by the response to you for which we all share responsibility. The Archdiocese of Dublin will never be the same again. It will always bear this wound within it. The Archdiocese of Dublin can never rest until the day in which the last victim has found his or her peace and he or she can rejoice in being fully the person that God in his plan wants them to be. On behalf of the Holy Father, I ask forgiveness for the sexual abuse of children perpetrated by priests and the past failures of the Church’s hierarchy, here and in Rome, the failure to respond appropriately to the problem of sexual abuse. Publicly atoning for the Church’s failures is an important element of asking the forgiveness of those who have been harmed by priests and bishops, whose actions – and inactions – gravely harmed the lives of children entrusted to their care. The O’Malleys hail from County Mayo, a part of Ireland that was hallowed by St. Patrick’s ministry there. They tell the story of a dramatic conversion of an Irish chieftain by the name of Ossian. A huge crowd assembled in a field to witness his baptism. St. Patrick arrived in his Bishop’s vestments with his miter and staff. St. Patrick stuck his staff in the ground and began to preach a long sermon on the Catholic faith. The people noted that Ossian, who was standing directly in front of St. Patrick, began to sweat profusely, he grew pale and fainted dead away. Some people rushed over to help and they discovered to everyone’s horror that St. Patrick had driven his staff through the man’s foot. Jesus is always on the side of the victim, bringing compassion and mercy. Jesus is not just the healer in the Gospel. He identifies with the sick, suffering, homeless, all innocent victims of violence and abuse and all survivors of sexual abuse. The Parable ends with injunction; “Go and do likewise!”; just as Jesus turns His love and compassion to those who have been violently attacked or sexually abused. We want to be part of a Church that puts survivors, the victims of abuse first, ahead of self-interest, reputation and institutional needs. The wounds carried in Ireland as a result of this evil are deep and remind us of the wounds of the body of Christ. We think of Jesus in the Garden of Gethsemane as he experienced his own crisis. He, too, was overwhelmed with sorrow, betrayed and abandoned. Not only survivors of abuse and their family members, but many of the faithful and clergy throughout Ireland can echo our Lord’s plaintive cry, “My God, my God, why have you forsaken me?” But today, through the saving power of the Cross, we come together to share in each other’s sorrows as well as our collective hope for the future. We come together to bind up the wounds we carry as a result of this crisis and to join in prayer for healing, reconciliation and renewed unity. Based on the experience I have had with this Visitation, I believe there is a window of opportunity for the Church here to respond to the crisis in a way that will build a holier Church, that strives to be more humble even as it grows stronger. While we have understandably heard much anger and learned of much suffering, we have also witnessed a sincere desire to strengthen and rebuild the Church here. We have seen that there is a vast resource, a reservoir of faith and a genuine desire to work for reconciliation and renewal. I would like to conclude my remarks by sharing another parable with you that further illustrates the demands of the Great Commandment which contains the whole Law and the prophets. The Japanese tell the story of a man who lived in a beautiful home on the top of a mountain. Each day he took a walk in his garden and looked out at the sea below. 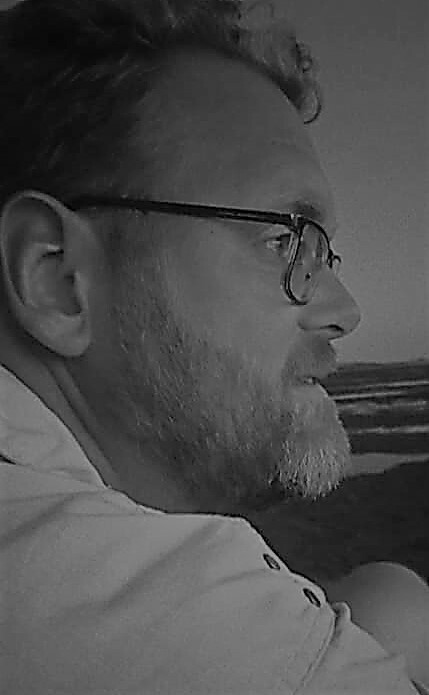 One day he spotted a tsunami on the horizon coming toward the shore and then he noticed a group of his neighbors having a picnic on the beach. The man was anxious to warn his neighbors, he shouted and waved his arms. But they were too far off, they could not hear nor see him. So the man set fire to his house. When the neighbors on the beach saw the smoke and flames some said let us climb the mountain to help our friend save his home. Others said: “That mountain is so high and we’re having such fun, you go.” Well, the ones who climbed the mountain to save their neighbor’s home were themselves saved. Those who remained on the beach having fun perished when the tidal wave hit the shore. The Gospel of Christ is about love, sacrifice, forgiveness, hope and salvation. The burning house on the top of the hill is the Cross, and it is the suffering of all those children who experienced abuse. Climbing the mountain, we are not doing God a favor, we are saving our souls.